You asked for it and today we’re so excited to introduce our brand new community based fundraising program built just for you! 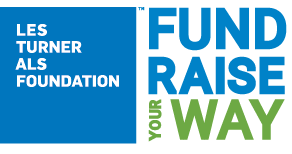 Fundraise Your Way (FYW) gives you the opportunity to raise money for people living with ALS by creating an online fundraiser, planning your own fundraising event or rallying a team to attend one of our existing events! With FYW, anything is possible. If you think of it, we will help you achieve it. The opportunities to FYW are endless, but read below for some inspiration from our Les Turner ALS family who have turned their ideas into ways to raise money for people living with ALS. Taylor and Cory used their wedding to honor the memory of Taylor’s grandmother, who passed away from ALS in 2011. 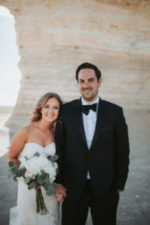 Instead of a traditional wedding registry the couple asked guests to donate to the Foundation using a personalized fundraising page. We’ve created an easy to use, online platform that gives you complete control over your own personal fundraiser. Create your own online fundraiser for a workplace challenge, special occasion, like a birthday or wedding, or any unique fundraiser you have in mind. 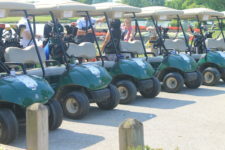 Now in it’s fifth year, the Matt Creen Golf Invitational brings together friends, family and community in a day-long golf extravaganza in honor of Matt Creen, a person living with ALS. The Invitational invites players to purchase tickets as well as the opportunity to take part in special competitions throughout the day, like the “Longest Drive” and “Closest to the Pin” challenge, and all proceeds benefit the Foundation. Use your talents and interests to plan and host an event with friends, family and community. You just can’t miss the bright red shirts of the Matt’s Minions crew at our ALS Walk for Life held every September. Karen Toole formed the team in 2016 with her friends, family and community members in support of her husband, Matt, who is living with ALS. Sometimes life is just too busy to plan an event, but luckily we already have several events for you to join. 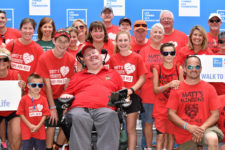 Our Foundation events, such as the the ALS Walk for Life, Hope Through Caring Gala, Tag Days and Strike Out ALS 5k and 1 Mile Run, Walk & Roll, are planned and executed by our stellar Foundation Events Team and supported by our Chicagoland ALS community like the Toole family. Simply join in on the fun by raising money for an existing event throughout the year! See how you can turn your ideas into ways to raise money! Can’t wait to get started? Fill out the form below and let us know what you have in mind. An events team member will be in touch once you submit to help you get started.